Serving authentic Mexican regional specialties, Javier’s brings only the freshest, highest quality steak, chicken and seafood to their location in Aria. Fresh ingredients and authentic recipes create the ultimate Mexican dining experience. One of the hottest spots in California is now in Vegas. Serving authentic Mexican regional specialties, Javier’s brings only the freshest, highest quality steak, chicken and seafood to their location in Aria. The variety of flavors is enhanced by the finest ingredients and the authentic recipes used to create the ultimate Mexican dining experience. The hand-shaken, made-to-order margaritas are only upstaged by the enviable collection of premium tequilas. Sit back and enjoy the amazing setting designed by Dodd Mitchell. Baja specials including pork, chicken, beef, seafood and vegetarian options highlight the menu. 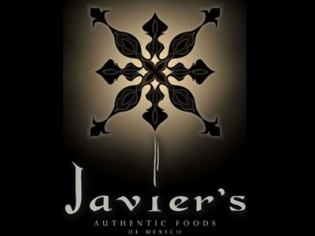 Visit Javier’s for the high energy you expect from a Mexican restaurant with the high quality service and cuisine you expect in Vegas. One of the reasons my b.f. and I always stay at Aria is because of Javier’s! Everything we’ve ever gotten there is delicious and fresh. The decor is unique and cool and the staff is very nice. You need to try it! they won't let you split up the bill!! Dark atmosphere…food was ok…they would not split up the bill for us which was inconvenient being that we were not all together.